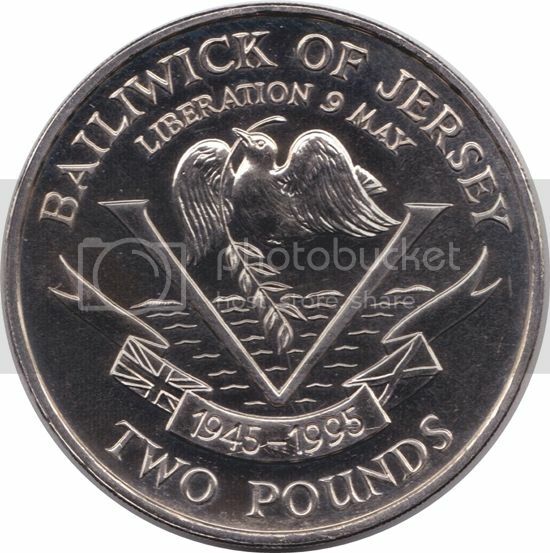 Bailiwick of Jersey £2 (1995), KM# 92, Copper Nickel, 38.5 mm, Mintage: 42,000. Commemorates 50th Anniversary of Liberation. 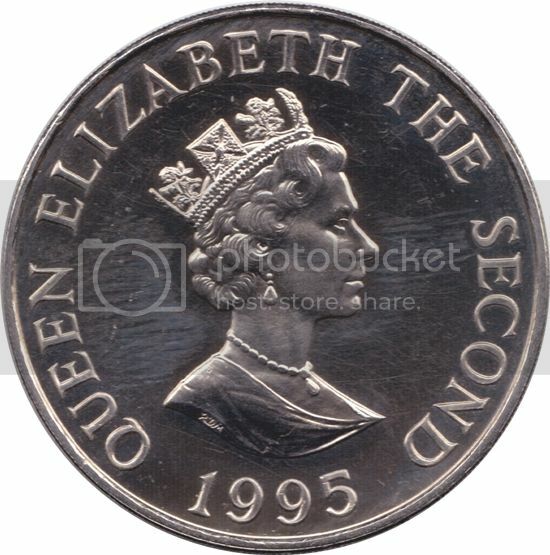 Obverse: Portrait of QE II. Reverse: Bird with sprig within letter V above dates within ribbon, Designer: Robert Elderton. Thanks Malcolm, never saw any of those! From where do you get stuff like that? The first was in a trade with Redwine who picked it up in the Channel Islands the second I bought from a dealer in St Helier who has now ceased trading. I wonder if you have seen my Channel Islands collection.